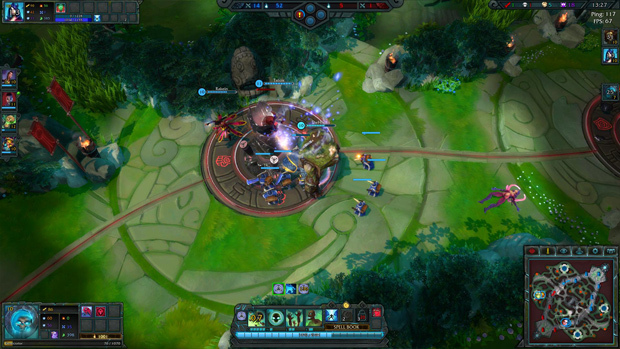 Dawngate is a new MOBA, built from the ground up to look and feel familiar while offering a whole new way to experience MOBA gameplay. 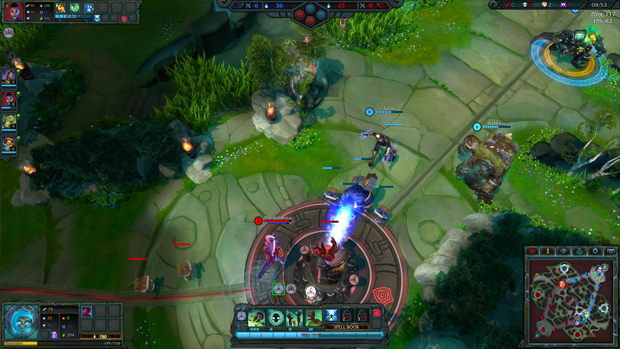 Dawngate empowers you to forge the champions you love for the roles you want in a competitive arena, shaped by ever-evolving, community-driven content and story. Binding Towers: Push through either lane to destroy the enemy's towers and gain upgrades to your minions to push harder than ever before. 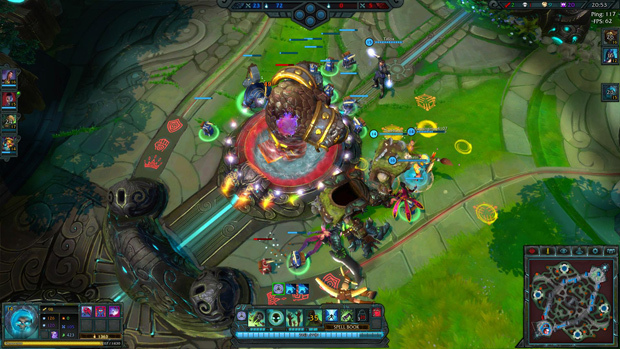 But each subsequent tower is immensely stronger and towers can regenerate over time so don't ever let up the push! Base Boss: Think you're team is going to push to an early win? Think again. The enemy base is protected by a powerful boss that will require you to level up your characters and push plenty of minions to stand a chance against, allowing the other team ample time to regroup and recover. Altar Resources: Four resource nods farmed by npc minions provide additional gold to the team in control. But watch out as your enemy can ambush your npcs to hinder your progress. 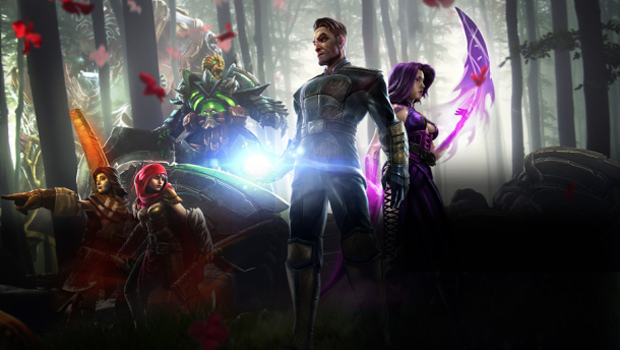 Rolls: Choose your roll on the team from the start without care for which hero you pick to impact the way you gain resources, opening up the meta to allow more diverse team strategies. 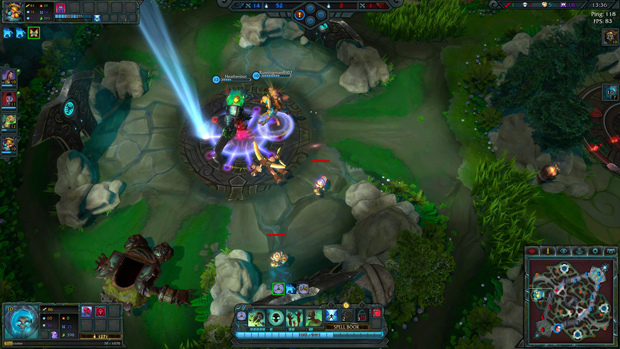 Dawngate introduces Lillin, a mage with few escapes but plenty of burst potential. 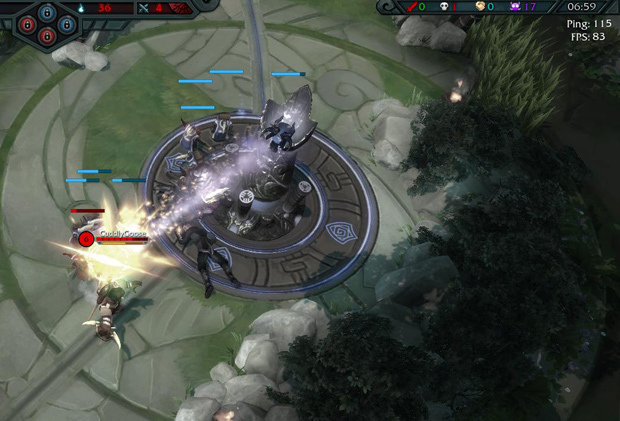 Dawngate teases a new, female shaper coming soon. 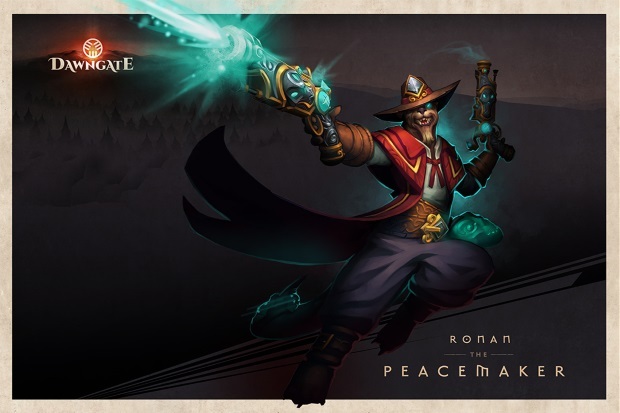 Prepare to explore the intricate lore that is The Dawngate.